There was an understated excitement in the air. 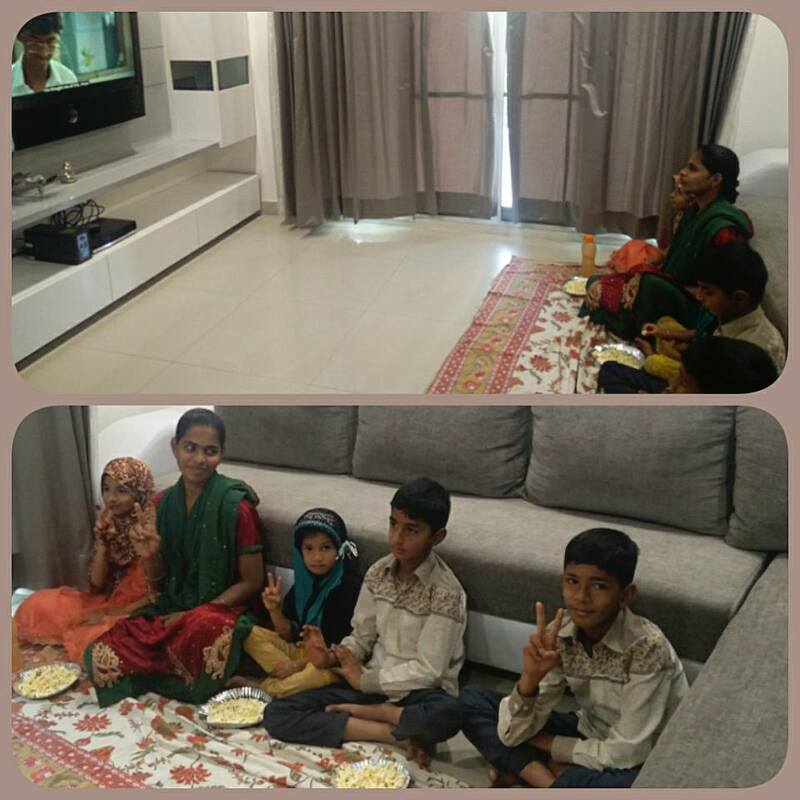 The Badshah household was gearing up to host a special bunch of kids for a special movie screening followed by lunch. Everyone doing their bit to have my b’day celebration, my way. Hakim setting up the movie Nil Battey Sannata for drawing room screening. Kids packing the return gifts. Mom frying puris for a special Punjabi meal. Apparently the excitement was more in our guests' house. The kids woke their respective parents (my domestic help & driver) twice in the night, saying its time-let’s get ready for the party. As they walked in, dressed in their finery, we could sense the odd nervousness, the awe & the sheer exuberance of walking into a ‘big’ house & being greeted by a ‘big’ screen. 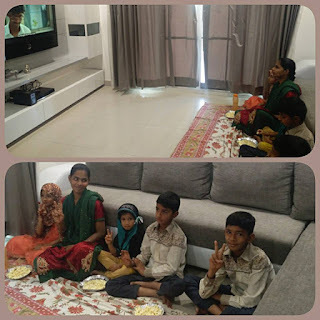 The popcorn ‘n’ movie session was thoroughly enjoyed but going by their periodic happy gasps & beaming faces, Doraemon cartoon being played during their lunch & the return gifts emerged as winners. Won’t deny we did have our moments of lump-in-throat seeing these kids’ happy faces. As they walked out of my house, giggling with their return gifts, walked in, a sense of gratitude. I hosted this b’day party for vested reasons. A revision for my family & me to count our blessings.